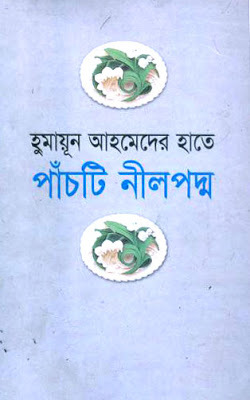 Humayun Ahmed er Haate Pachti Neel Poddo is such kind of books which contains several books of the author. Humayun Ahmed is a popular novel writer in Bangladesh. In this book, you will find five different types of story. All the stories are really awesome. First story name, Ekjon Mayaboti and the hero of this story is Munjur. Heroin is Mera. They are married but something happened to them for this reason they want separation. If you read the first part of this story, you have to laugh very much. But the last part is a crying scene. Second story name, Krisno Pokkho and this story are also awesome. Third story name, Pencile Aka Pori. Fourth story name, Amar Ache Jol and I think this story is known to all. Because the popular film was made by this film by Humayun Ahmed. If you want to get downloaded the book named Humayun Ahmed er Haate Pachti Neel Poddo, You are required to click here!